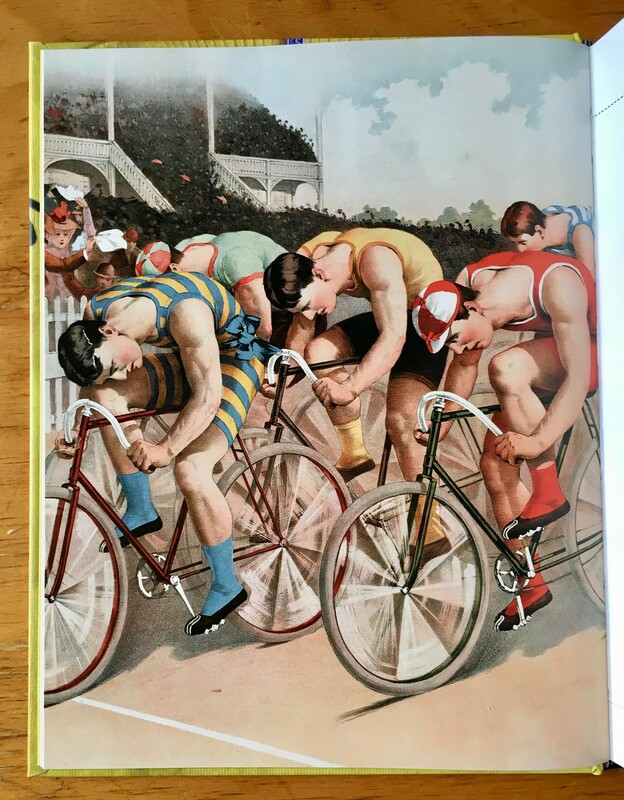 There are lots of books out there about cycling jerseys. 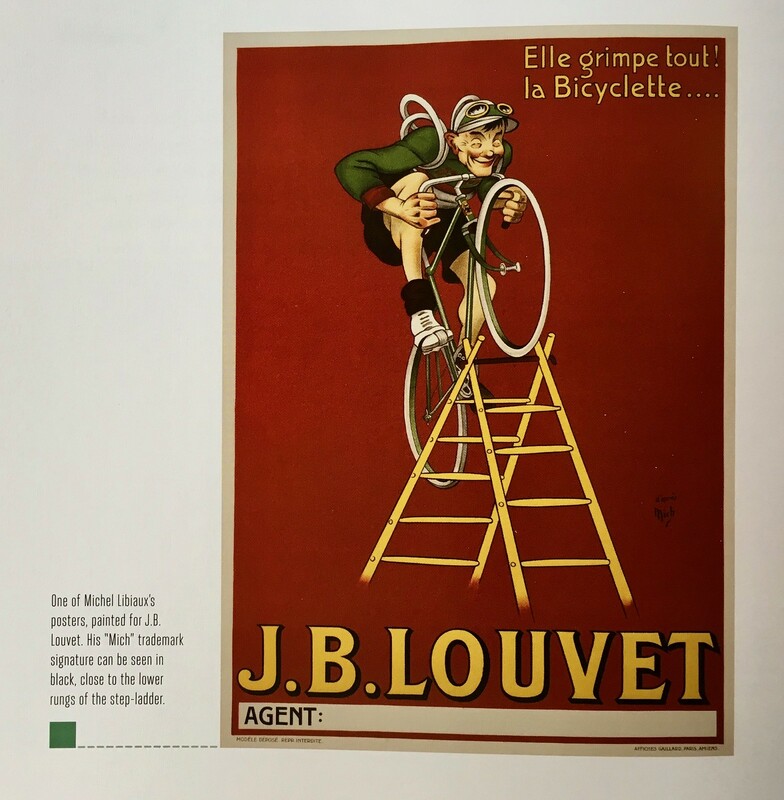 The latest one is The Art of the Cycling Jersey: Iconic Cycle Wear, Past and Present, by Chris Sidwells (who’s a very prolific author on biking-related topics), and it’s one of the best that I’ve seen, with informative text and excellent visuals. • Whoa, check out the button placement on this next jersey — seems like something our resident DIY genius, Wafflebored, would come up with, no? • Interesting photo caption on this next one, as the author notes, “The team name on the side panels reflects how formerly strict team jersey design rules were relaxing.” Sounds similar to what we might say about team names running up the sides of football pants (among other newfangled developments), right? • This next one is ridiculously busy, but I still like it. 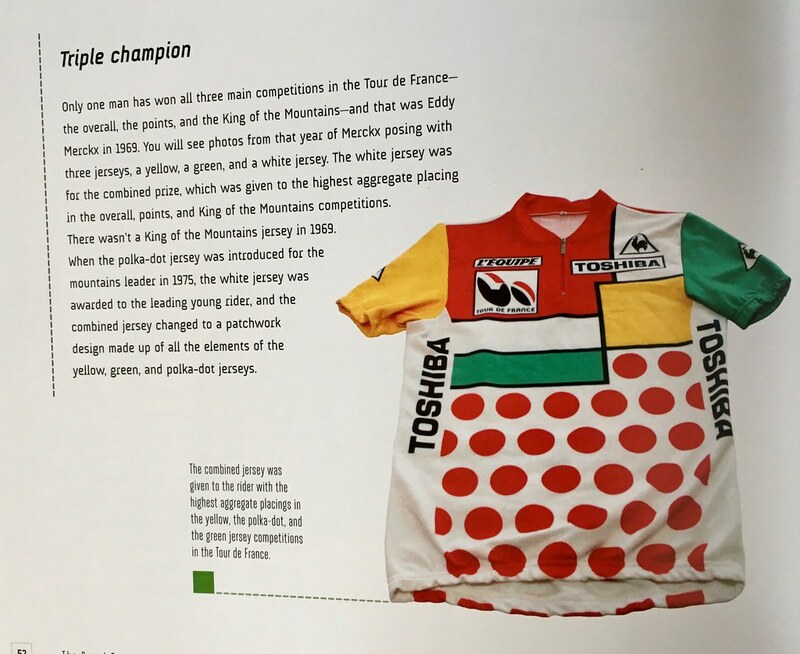 It’s the caption explains, it’s a “combined jersey,” given to the rider with the highest aggregate scores in the Tour de France’s gold, green, and polka dot jersey rankings. The effect is a bit like polka dots on a Mondrian painting. Want to see more? There are additional photos here, and the book is available for purchase here. Baseball News: On Memorial Day, a youth baseball team from Fairfield, OH, wore names of soldiers killed in action in a game (from Brian Henke). … Was it superstition or a Nats socks mixup? Douglas Adams notes “Looks like Gio Gonzalez missed the memo on the green socks.” … Nice looking Tequila Sunrise uni from Grand Ledge High School in Michigan (good spot by Scott Norman). … Check out this beautiful vintage Expos cap with the 125th anniversary pin in French (from Allen Yelent). … The Yankees’ AAA minor league team (the Scranton/Wilkes Barre RailRiders) have two holiday jerseys: The blue ones were worn for Memorial Day, and the red one will be worn for July 4th (from Michael Slesinski). … Saturday’s broadcast of the Ole Miss – Texas A&M game included some in-depth commentary on the Rebels’ powder blue uniforms and why they always wear them for night games instead of their road grays (from Kary Klismet). … Attention to detail! As they have done for the past several years, the Milwaukee Brewers adapt their helmet decal to the “special” occasion being celebrated by MLB (from Tom Ekstrand). … The Louisville Bats (AAA-Reds) became the Louisville Mashers for a night (from Josh Hinton). Here’s a few more good links. 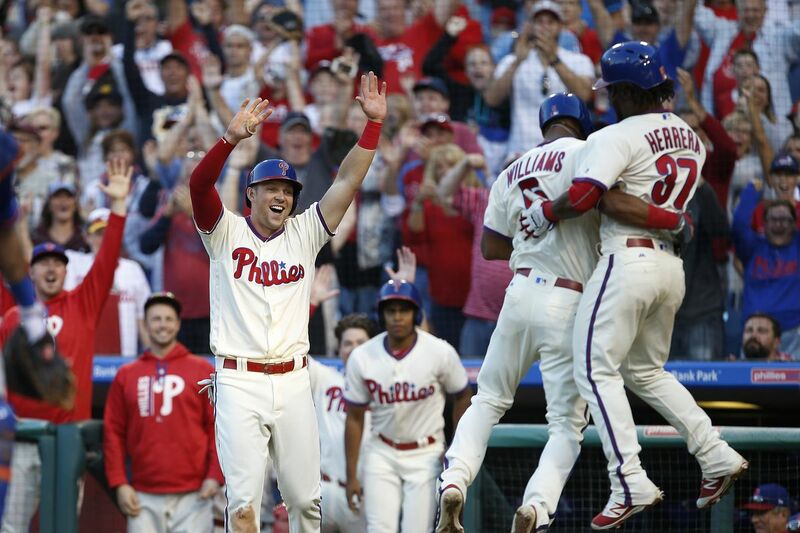 … The Phillies did not have sleeve numbers on their home Memorial Day unis, but they did on the road version (from Frank McGuigan). [Probably because their cream alts don’t have them either — PH]. 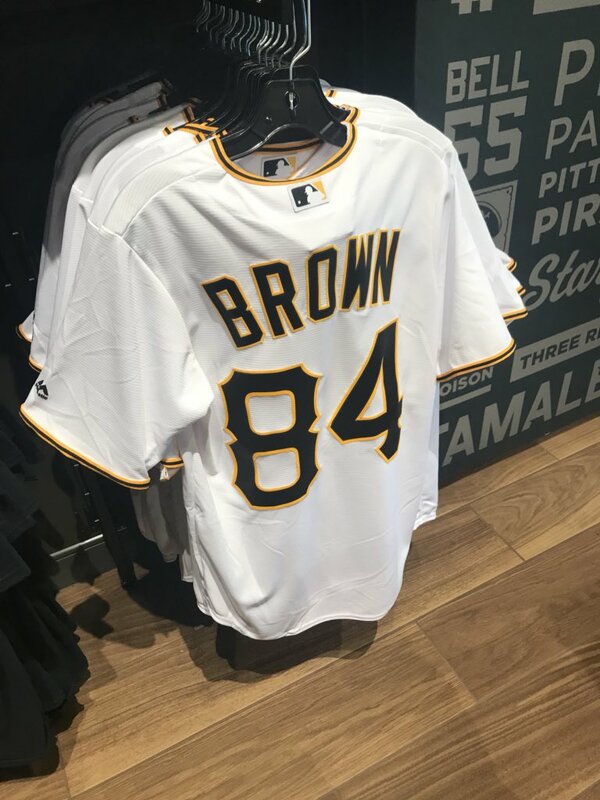 … While inside he newly renovated Pirates Fanatics clubhouse store yesterday, Noah Kastroll spotted these Antonio Brown “crossover” jerseys. … Here’s a neat guide (by jersey), of the Men’s College Series matchups (from Chris Mycoskie and also Rex Henry). 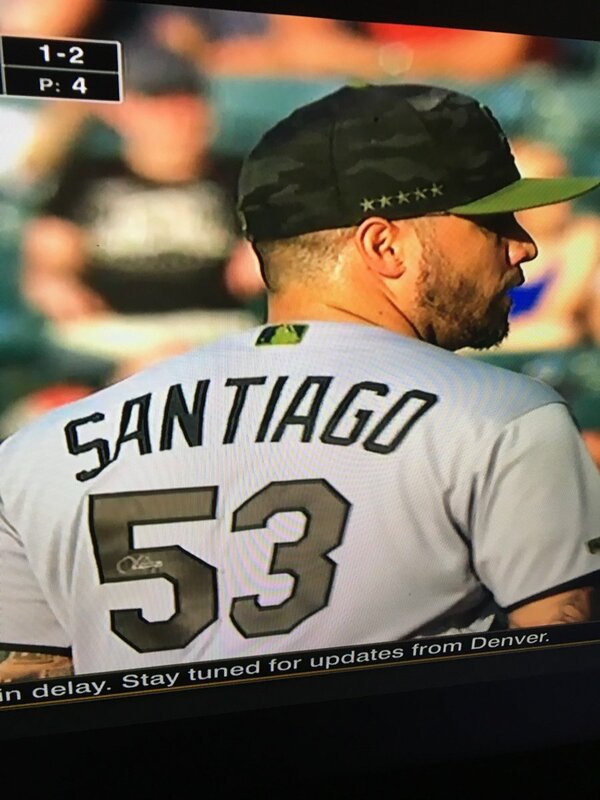 … Yesterday, White Sox hurler Hector Santiago wore a signed Memorial Day jersey (good spot by Mark Johnson). 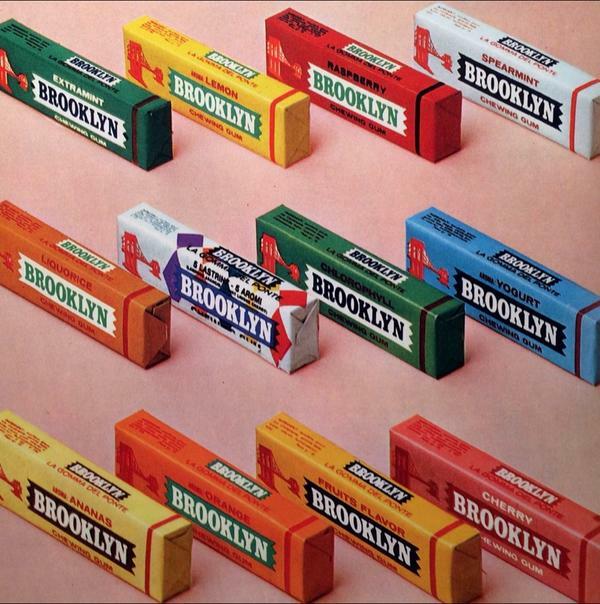 … Whoa! 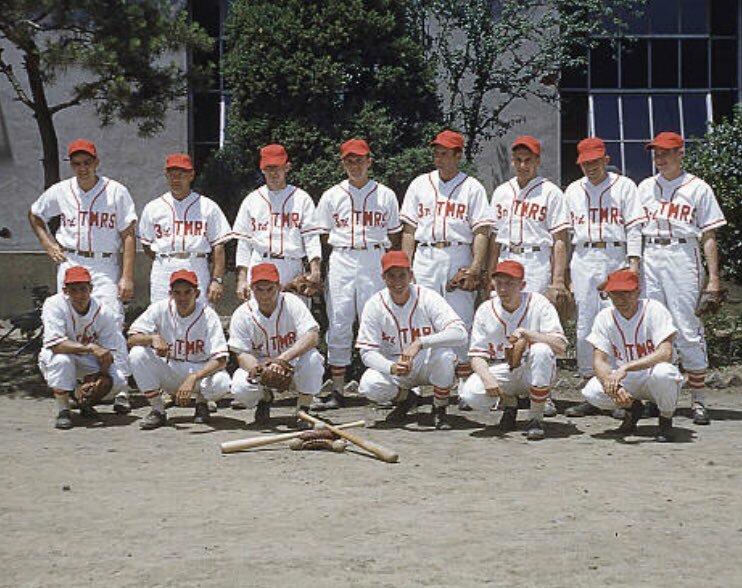 Check out the awesome unis (and especially the jerseys) for the 3rd Transportation Military Railway System Baseball Team, 1952 (from GOAT Jerseys). … What’s your verdict on this PawSox patriotic jersey? JBJ.Bandwagon has a definite opinion. … In this article from the Daily News, it notes last year MLB was criticized for a lack of transparency with regard to the camo uniforms. … This year they’re making things more transparent (from Tim Dunn). … British artist Andy Brown (who I’ve featured on Uni Watch several times), scored a nice article on how he “captures essence of baseball through paintings.” … Because they played a double header yesterday, the Mets and Braves wore their regular unis in the second half of the twin bill (from Glen Matthews). 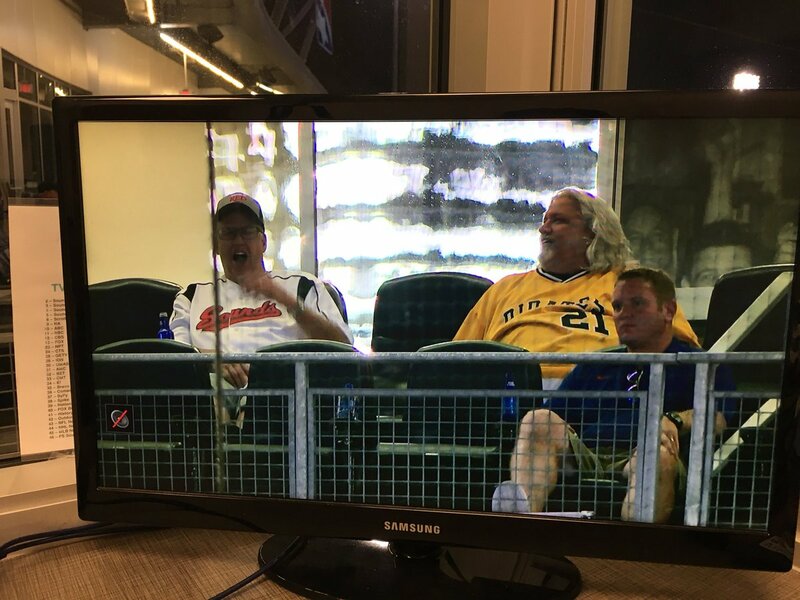 …(CROSSOVER) Rex and Rob Ryan were at Sunday’s OKC Dodgers/Nashville Sounds game. Rex wearing an old Sounds jersey and Rob wearing a Roberto Clemente jersey, from Alex Freedman (also posted in football). … There’s a Texas Rangers Two Tone Batting Helmet on sale eBay. John Leftwich notes, “Not the seller or affiliated with the seller just know you has some mention of this in articles around when they were worn!” Hard to believe this is from 2009. The helmet was scrapped before the season began. NFL News: Interesting observation from Stephen Willeford who writes, “Was reading Peter Kings’ MMQB and say this picture from Carson Palmers’ office (?). There’s an autographed Aikman jersey with the body of the Cowboys road jersey circa 83-95 and the sleeves of the current road jersey.” He asks, “Have you ever seen anything like this? You would think a guy like Carson Palmer would be able to get a real jersey from the source, not an obviously fake jersey done by a collectible store.” … (CROSSOVER) Rex and Rob Ryan were at Sunday’s OKC Dodgers/Nashville Sounds game. Rex wearing an old Sounds jersey and Rob wearing a Roberto Clemente jersey, from Alex Freedman (also posted in baseball). … While the Steelers are expected to unveil a new third uniform this week, original reports (and thoughts) are that it will be the “Batman” jersey worn for two seasons. However, it may be that the team will wear unis from 1979. … You know something has gotta be out of whack if Todd Radom asks, “Is this a headline from The Onion?” Well, you be the judge. No, it’s true. College Football News: Here’s a really bad interesting article listing the author’s 30 best college football jerseys. When I tweeted that, it got a lot of varied opinions of the list, most of which were not good. 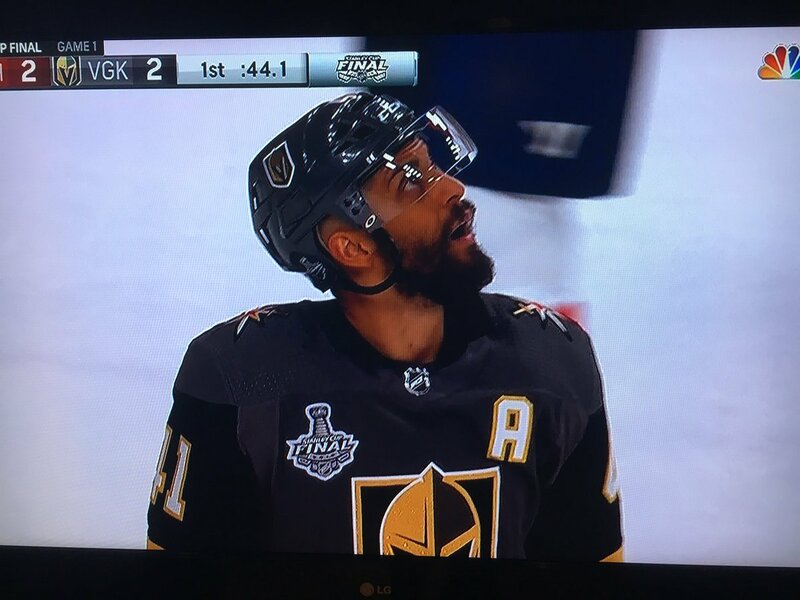 Hockey News: Here’s a look at the Stanley Cup Finals Patch on the Vegas Golden Knights (from Al N. Kreit). 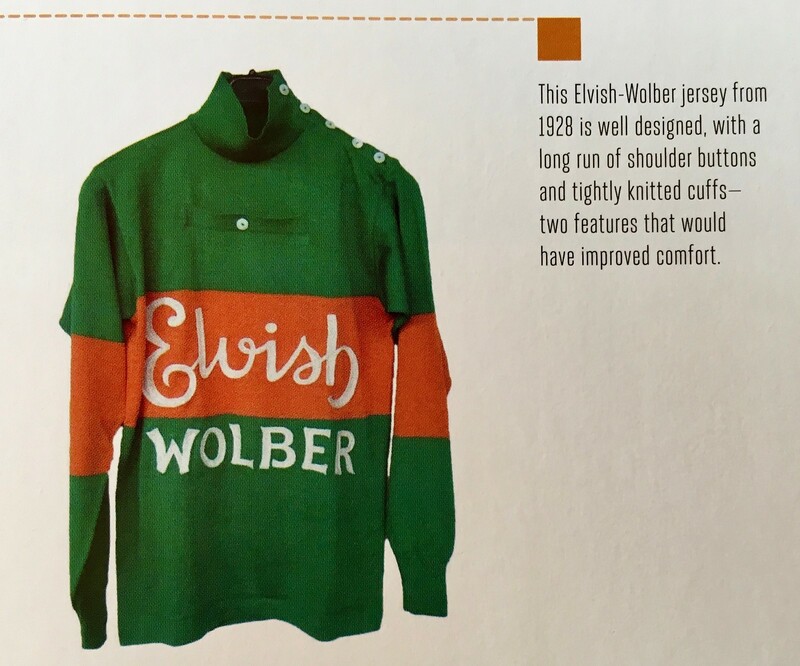 … Absolutely no surprise here, but next season NHL teams will have third sweaters. … “Maybe I’m crazy but isn’t the use of the Blackhawks crest in conjunction with the American flag tone deaf?” writes Marc-Louis Paprzyca. … The Arizona Coyotes’ official third jersey will be revealed on 6/22 (from ticker-er emeritus Mike Chamernik). NBA News: Now that his Cavs are (again) in the NBA Finals, Jimmer Vilk “Had this glass for a month and just realized the Cavs logo next to the Arby’s logo is from the wrong era.” … Speaking of those Cavs, here are larger and clearer views of the 2018 NBA Finals uniform patch (from Conrad Burry). … The Mavericks gave Justin Timberlake his own take on the logo (from Griffin Smith). Grab Bag: Even though most New Yorkers don’t have easy access to a pool or the beach, it doesn’t stop them from wearing flip-flops (sigh). Here’s an article on Flip Flops for the Greater Good (from Tommy Turner). … The Victoria Shamrocks are wearing new uniforms in the Western Lacrosse Association (WLA) this season. “The white uniforms were worn at their home opener against Burnaby Saturday night,” writes Wade Heidt. “The new uniforms feature black numbers and a bit of silver trim. Secondary “VS” logo makes its appearance on the uniforms now, on the shoulders and on the shorts.” Here’s what they wore for comparison. … An Elementary school in Sylvania, OH changed its nickname from Indians to Cardinals (from Tom Konecny). … Just in time for his trip home from Utah today, Delta Airlines will debut new purpleplum uniforms. … Johnny Canucklehead asks, “OK, need more info. 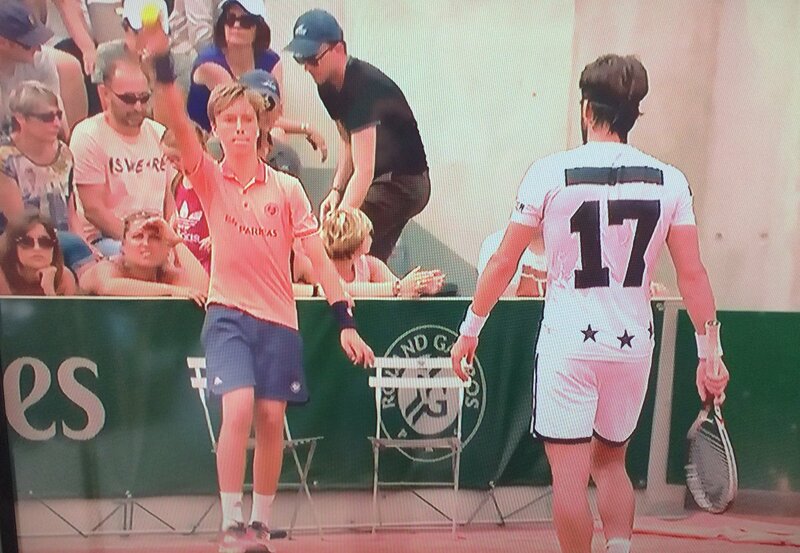 Is Basilashvili trying to start a tennis player numbers trend?” … Tennis player Ken Nishikori will be wearing these two UNIQLO shirts during the French Open (from Blake Fox). Collector’s Corner can be seen on the Uni Watch Facebook page today- it will return to this space next week. Thanks to everyone for your patience this past week and change. Paul will return to his regular Uni Watching duties tomorrow. Thanks for filling in, Phil. Thanks, Jerry. Hope everything was OK the past week-ish. Cheers! FYI, The article for the “Flip Flops for the Greater Good” only links to a lacrosse picture. 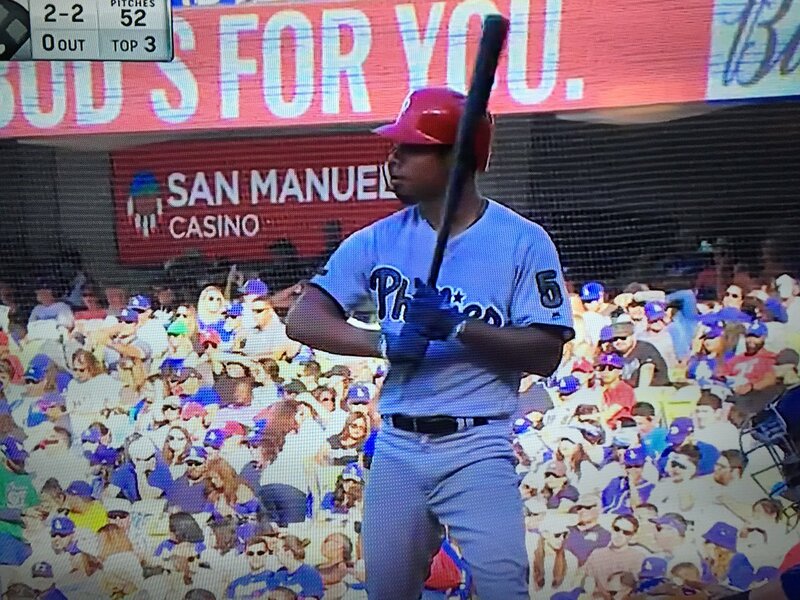 The Phillies did not have sleeve numbers on their home Memorial Day unis, but they did on the road version (from Frank McGuigan). Link goes to Louisville Bats/Mashers Twitter entry. Gah. Thanks. Should be fixed now. Now that his Cavs are (again) in the NBA Finals, Jimmer Vilk “Had this glass for a month and just realized the Cavs logo next to the Arby’s logo is from the wrong era. Doesn’t have a proper URL; looks like the text was put in for the link instead. The book is glossing over some stuff. 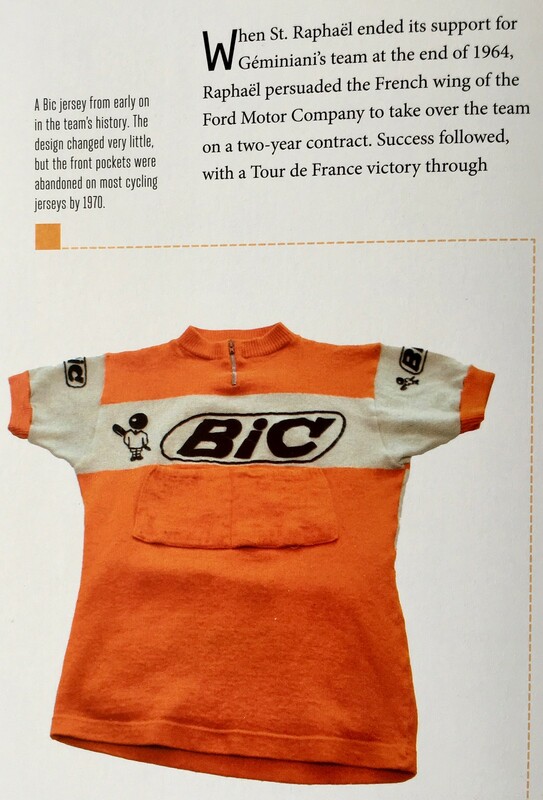 The jersey only existed for a few years (1984-1989) and it includes a red patch for a red jersey awarded at the time for an intermediate (i.e., not at the end of a stage) sprints classification. 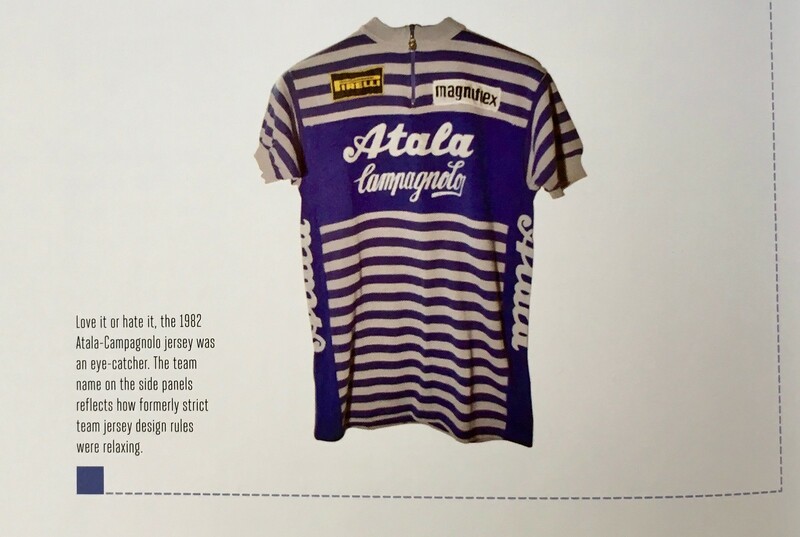 The combination classification existed on and off in the 60s and 70s, but without a jersey (or, as mentioned, with the white jersey). Regarding the Aikman jersey, it would be more appropriate (and FAR more likely) to say that it’s a modern (1996 or later) jersey with the older-style number than it would be to say they put modern sleeves on an older jersey. Just think about that for a moment. It’s also possible (maybe not likely, but it is within the realm of possibility) that it was a prototype that never hit the field, possibly a preseason version that was never worn due to the Cowboys’ preference for their white jersey. Aside from the silver numbers, another oddity about that jersey is that the NOB is sans-serif. The Cowboys have used serifs on their NOBs since 1982. If that’s true about the Steelers 3rd jersey, that will be likely one of the more subtlely different 3rd jersey in existence. Forget our esthetics point of view and keep in mind the main objective of a 3rd jersey is to pump merchandise sales, the Steelers would be making a daring decision. i.e. The Batman uni from a merchandise sales perspective I have to believe would be the better choice? For the lacrosse fans out there, the new Victoria Shamrocks uniforms are a downgrade in my opinion. The old Under Armour jersey was superior. Yes to the jerseys in the first link, the old design with the number in the shamrock was so good. I also have fond memories of the old Payless era uniforms that were orange and grey. New design is ok but not great. I can’t wait to see alternate jerseys return to the NHL. That means I get to see the Lightning wear black again, which is a great thing! Flyers in all black again? The Flyers’ last proper alternate was orange with cream accents, so maybe that one returns instead. RE: the Nats and the red socks with the “support the troops” unis, Tanner Roark did the same thing earlier in the weekend at Miami. 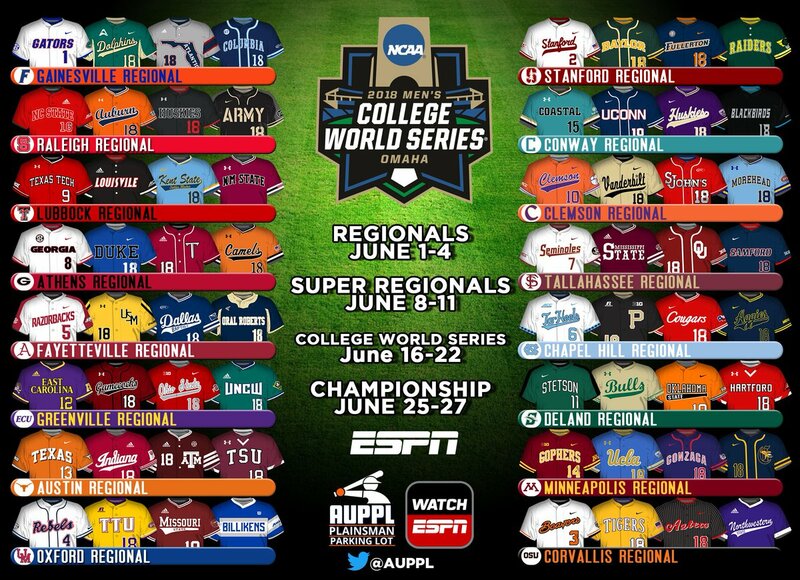 Link is actually a graphic of the Men’s College World Series match ups. Can any cycling enthusiasts explain why cyclist wear “team” jerseys so often when they are just out for practice/fun rides? Do they simply have so many of them that they can wear them out for all of their practice rides? Is part of the deal with their advertisers that they are supposed to wear them any time they take their bike out? I’ve always found it odd, and wondered why they aren’t just wearing regular training gear on their rides. 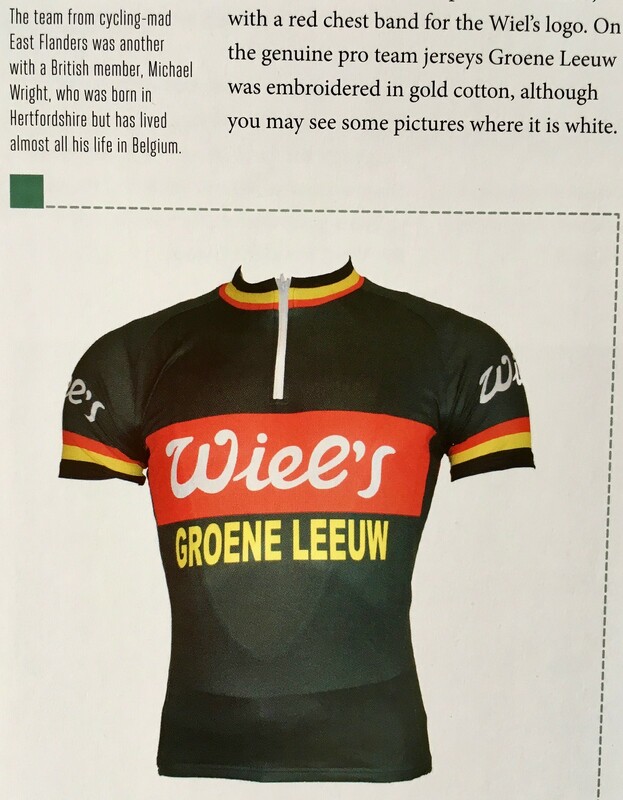 One quirk that happens at the end of each year is that a rider will sign on to a new team for the following calendar year and start to train with that new team, but until end of the contract with the old team will have to keep wearing the old kit. Thanks. Are there that many professional riders out there? I was more referring to people who seem to be part of a local team/club. They certainly aren’t professional in the sense that this is their job. Perhaps it is just a team pride thing when you are part of these groups? Thank Phil. That was what I was wondering. I kind of figured it had something to do with wanting to show some love for their sponsors and/or a club pride thing. 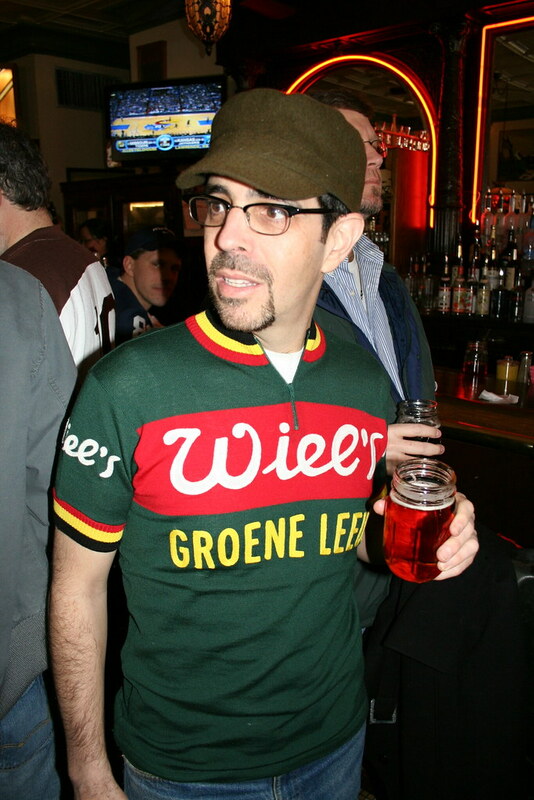 Wearing a pro team jersey, when you’re just a fan or amateur, is called “being a poseur”, and is pretty frowned upon by serious recreational cyclists. 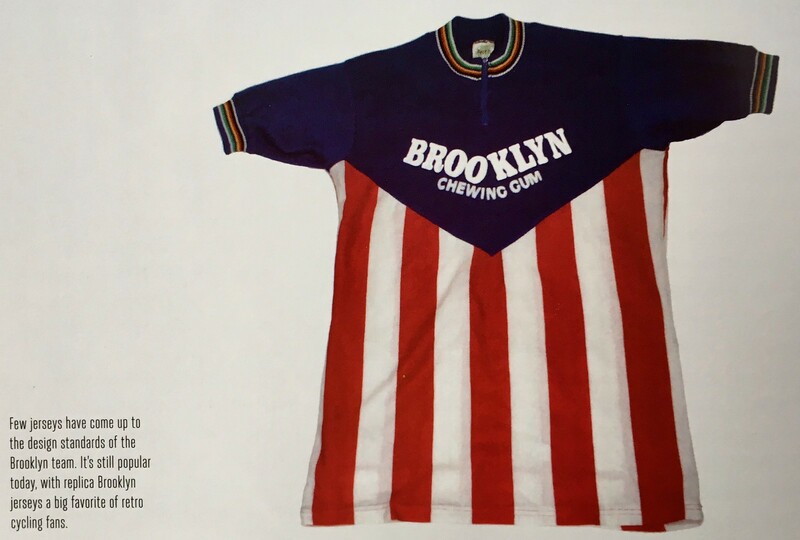 The greatest offense is wearing the world champion rainbow jersey or even having the stripes on your sleeves – big no-no. 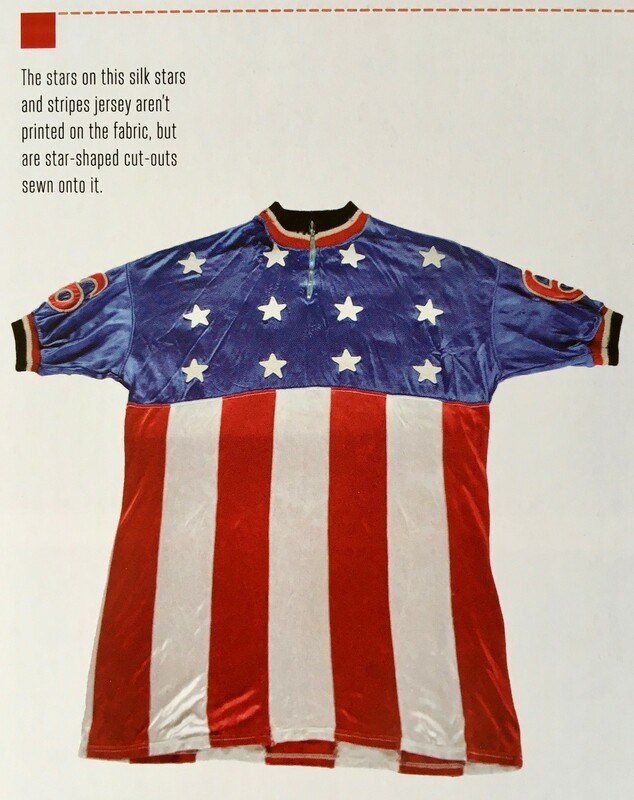 In California, wearing a California flag jersey will get frowns as that is the jersey for the winner of the Tour of California. It’s kind of like wearing an exact replica Super Bowl ring – you could buy it, but you didn’t earn it. Interesting glove worn by #17 in the ticker post, very sleak. Is that the trend in lacrosse? 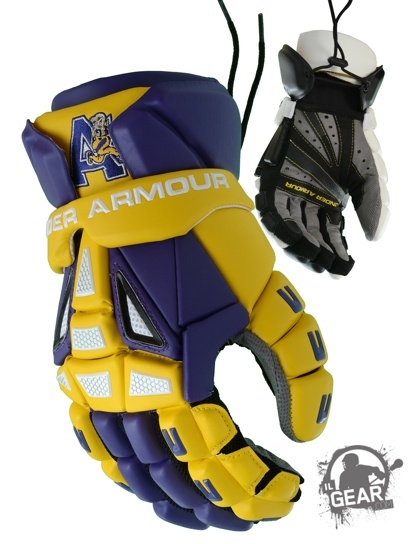 Yep – lacrosse gloves have become smaller and sleek. Similar to hockey gloves but even smaller and more like a form-fitting glove on the hand. Actually, they look horrible because the manufacturer apparently doesn’t know how to search Google to look at any of the thousands of Astros uniforms from the 1970s and get the striping right. If the number is split between the white space at the top and the stripes (or, in this case, the number is almost completely in the white space), then you’ve got too much white space at the top. This shouldn’t be hard, and yet almost all of the manufacturers get it wrong. As an Astros fan, I would love to see teams wear this style at all levels, but not if the manufacturers are going to screw it up more often than they get it right. As aesthetically bland as the new NBA Finals typography is, cutting off a letter that can make it look like another letter as a result is just poor design in and of itself. And that’s not even considering the current political climate surrounding that particular organization that’s being inadvertently referenced as the result of that poor design choice. Absolutely love that World B. Free glass/jar. Those are just beautiful. I’d forgotten all about Campy Russell. Proofreading – last item in the ticker, the tennis player’s name is Kei Nishikori, not Ken Nishikori. Anyone else getting really intrusive ads today? Hidden videos a couple of times! what’s wrong with flip flops? I never go to the beach either, but everyone in Florida wears them (figuratively) all the time. I didn’t agree with many of the choices in the linked “20 best college football jerseys” article, but was pleasantly surprised to see the Carolina Blue home jersey of the UNC Tar Heels at #1.